Paisley: “I find it whenever I’m outside playing. *giggle That’s a Weather Lab joke. I wanted to provide our friends in the Boston area with something to help them chuckle. They are in need of some laughter, because they are getting whammed by the snow! I’d like to tell them that it’s over, but it’s not. More snow is predicted for the northeast, the Dakotas, and Minnesota. The northwest is getting buckets of rain and we are keeping our paws crossed that there won’t be mudslides. Our temperatures in the south will be mild and great for Mardi Gras parades! Why in the world do people dump puppies? Can never understand. Oh no not more snow. It seems to be never ending. Have a terrific Tuesday. Well I finks that new mat is pawfect! And I totally agree with Molly, how could peeps do such a thing? 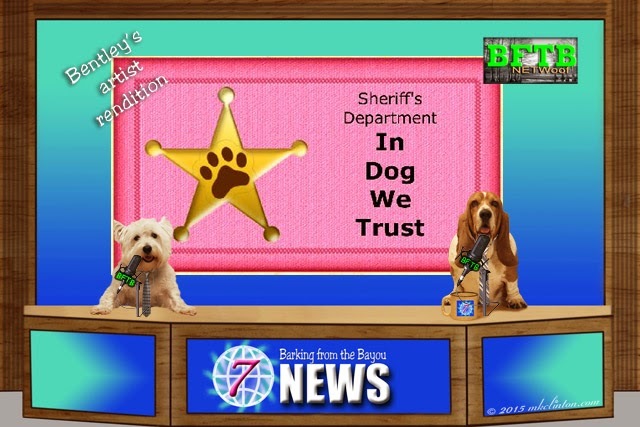 In dog we trust? hahahahahaha!!!! That's paw-some! Your weather girl is right on...jumbo snowflakes are falling from the sky as I type this comment. Sadly it will only be a few inches...we prefer a full storm, but this winter is just not good. What's even better than winning your awesome giveaway? Being mentioned on the NetWoof News! Whoohoo, thanks everyone! We are excited to try Rejeneril and hope it will speed Sheba through her recovery. I trust you won't mind if I use that photo on my blog? We loves hearing those happy stories, thanks for making us smile today! Another wonderful newscast guys (and gal!). We just loved hearing about Daisy and Otis!! Paisley, can you order up some sunshine for the Northwest?? WONDERFUL News PAWgram today.. We really enjoy your NEWS that We can Trust. 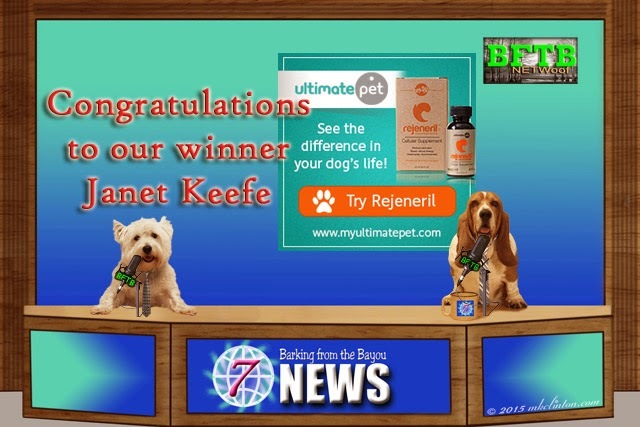 great news cast and congrats to Janet. Have a great day. Glad that Sheba won and I"m sure they'll put it to good use! Excellent job reporting all the news that's fit to print/blog about, as usual. 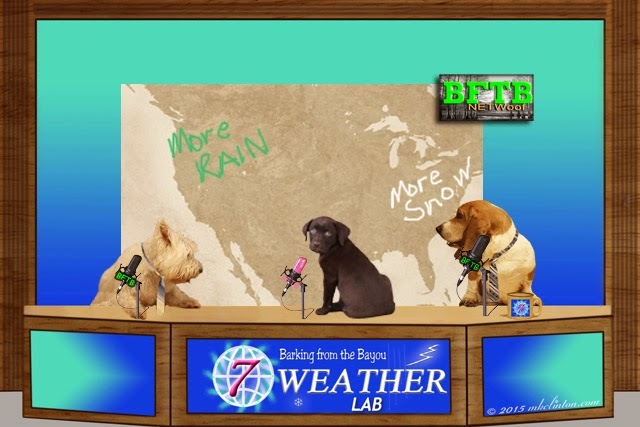 Paisley is really coming into her own as a Weather Lab! Great job!